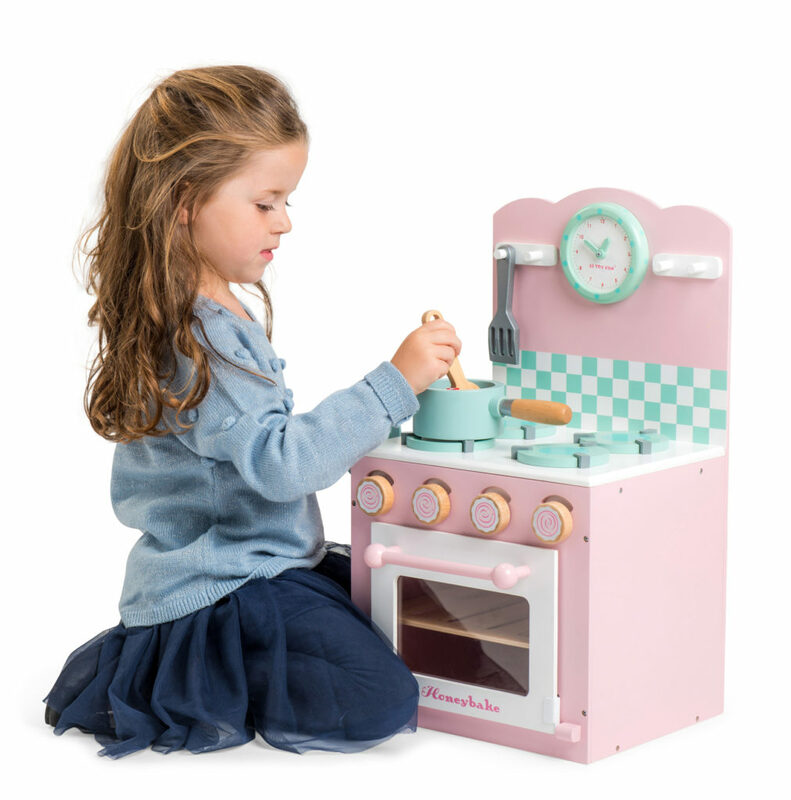 This beautifully detailed wooden play oven and hob features a four ring hob, a two shelf oven with perspex window, ideal for roasting and baking, plus four large dials for setting and adjusting the temperature. 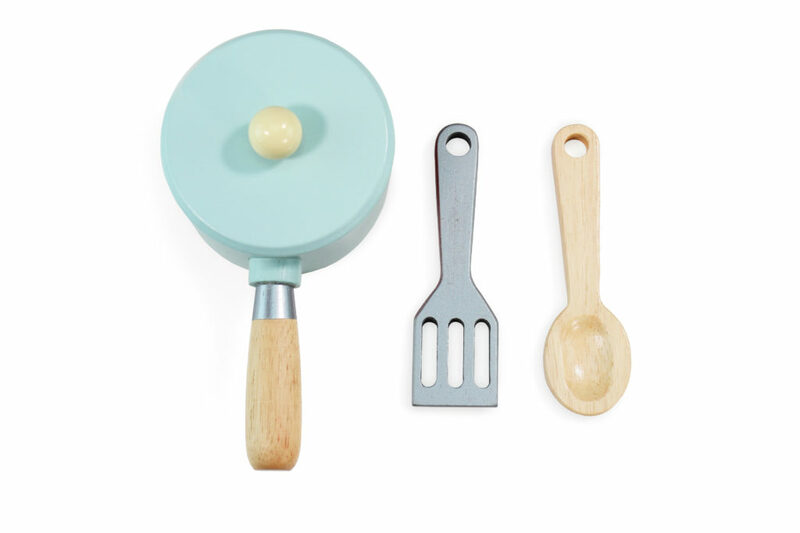 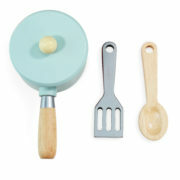 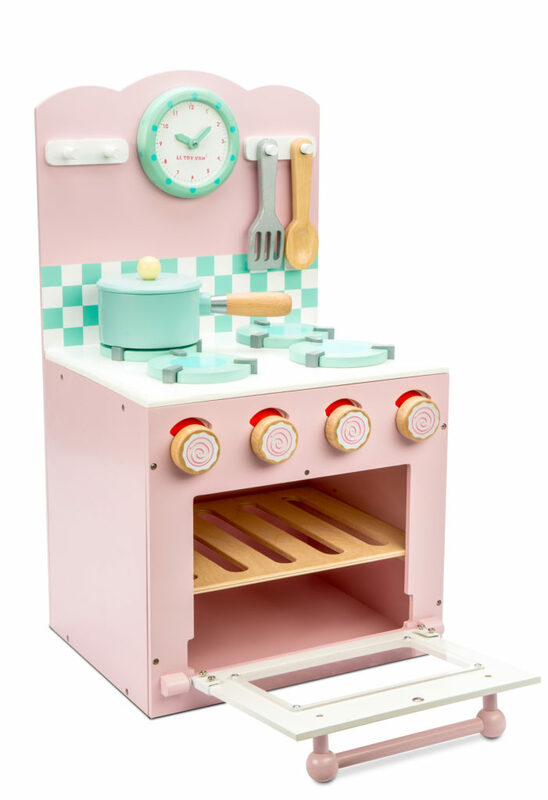 There is also a clock with moving hands for setting those all important cooking times, plus three wooden accessories: a frying pan with lid, a spatula and a spoon. 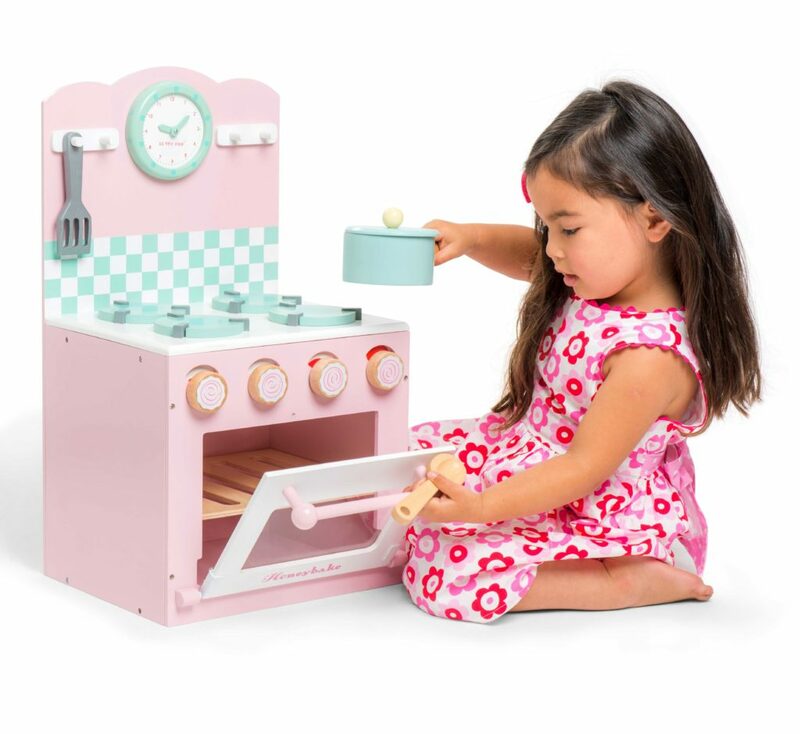 A perfect addition to any child’s bedroom or playroom, this pretend play kitchen is the ideal size for playing with on the floor or on a tabletop and is easily transported from room to room. 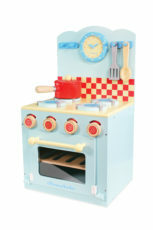 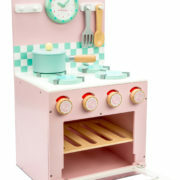 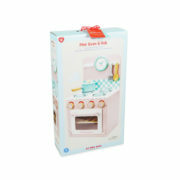 Budding chefs will have great fun cooking up a feast with this delightful Honeybake Oven & Hob from Le Toy Van. 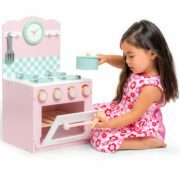 Pretend play is an important part of growing up, allowing little ones to exercise their imagination whilst having fun. 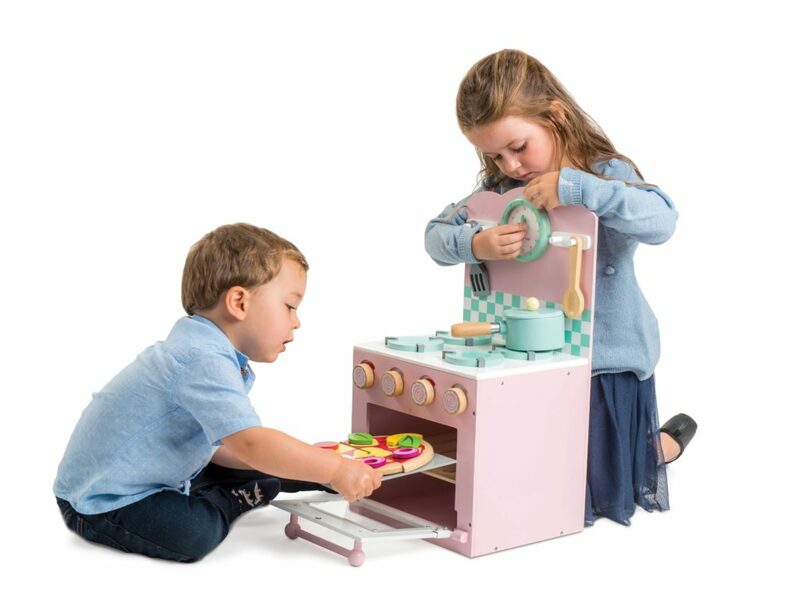 Why not take a look at some of the other fantastic wooden play sets in our play kitchen range and really get your kids cooking on gas, pretend gas obviously! 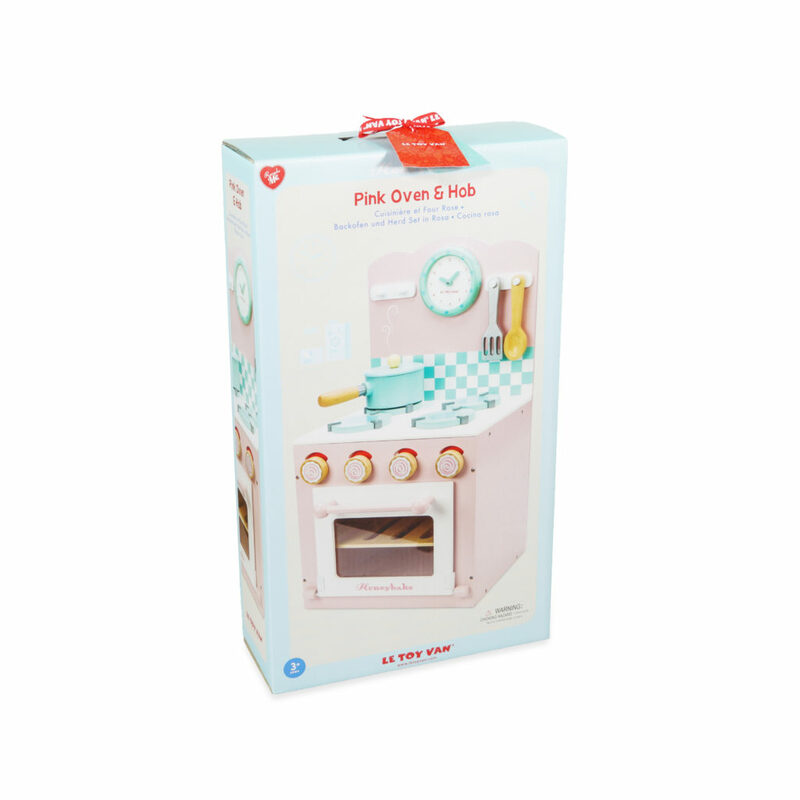 Beautifully finished in pretty pink with blue and white checkers, this sturdy wooden pretend play set comes in a beautiful presentation box and makes a lovely gift (assembly required). 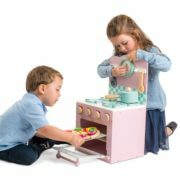 Designed in the UK and distributed around the world, Le Toy Van produce a range of high quality painted wooden toys. Their UK based design team produce innovate, colourful toys, many of which have won prestigious industry awards. 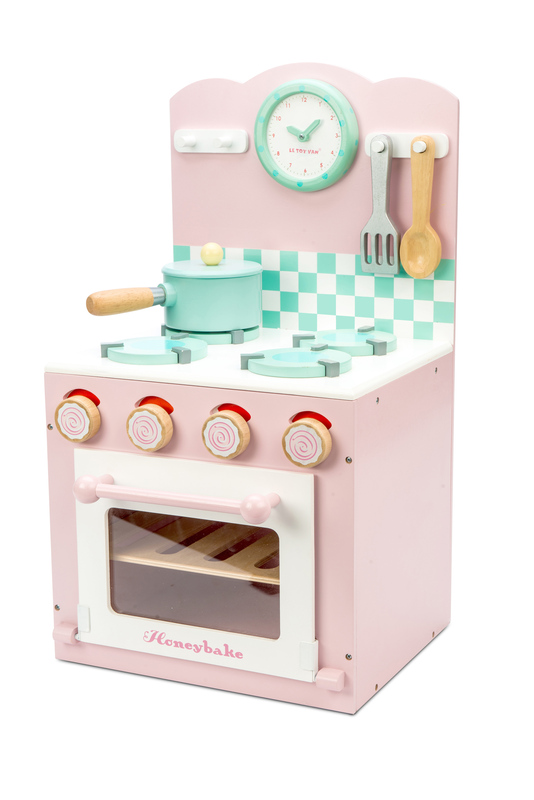 Manufactured overseas from responsibly sourced wood, products are produced under the strict control of the UK design and management teams, who ensure products adhere to the latest EU safety guidelines and are made in good working conditions.